What tools and products should I recommend to my clients with fine hair that breaks easily, or who are suffering with hair loss? Are there any massage techniques I could be using too and showing them to do at home? 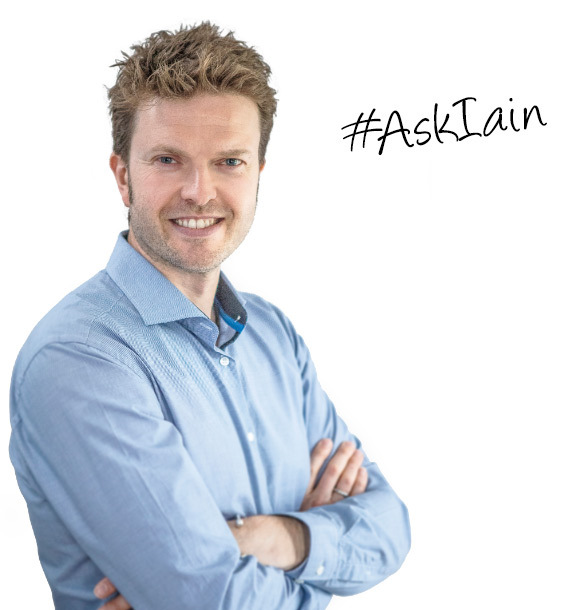 It’s difficult to say as hair loss is not just ‘one thing’ – it could be a culmination of issues and so you need to be aware of what the problem is first. 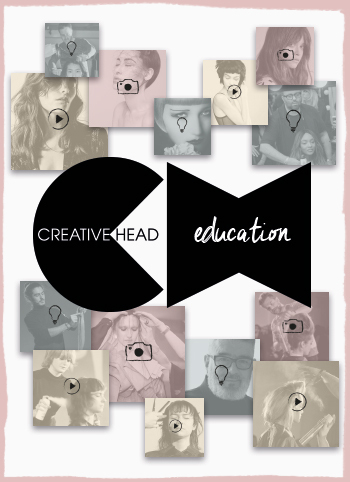 Tools affect the external part of the hair, not the bulb, which is where each strand grows from, so you need to think of the hair you are dealing with (and affecting as a hairdresser) as a piece of clothing and not a body part you can ‘stimulate’. Being kinder to hair (the external hair fibre), no matter what the issue, will benefit the hair itself as it will not become as damaged, dull or poor in quality. 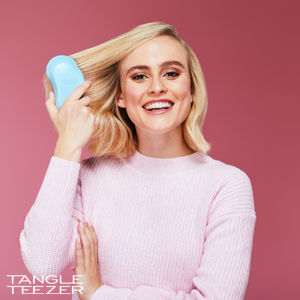 Getting rid of the old tiny radial hairbrush you use and replacing it with a hairbrush designed to not cause as much stress and breakage – like what Tangle Teezer has designed with the Fine and Fragile range – can only be a good thing! What is the pathway to becoming a Trichologist, and what is the value that you can add to your salon and services by qualifying as one? There are several institutes and societies which offer trichological courses. I would suggest looking for one that has a good reputation, where the members have to adhere to a specific code of practice after qualification to stay ‘registered’, or one that is accredited by an external awarding body such as OFQUAL/EDUQUAL. Avoid the 2-3 day courses. Becoming a Trichologist takes years of training and shouldn’t be ‘awarded’ by a product company so you can sell their ‘cures’. 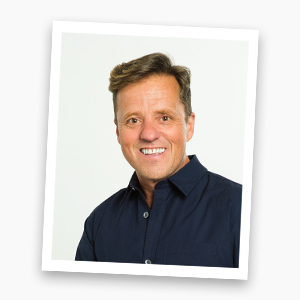 The value of a hairdresser training in trichology is you become aware of what actually happens to hair and so can talk to your clients at a far deeper level than you could before. What do you think the next big product or ‘thing’ is with scalp and fine hair? If you could invent any product in the world what would it be? The next big thing for hair and hair loss must be hair cloning. Scientist can take dermal papilla cells from the scalp and multiply them to create more hair cells, but what they can’t do at the moment is inject them in to the skin and make them grow a new hair… but they are very close! My invention would be a portable blood testing machine, something I could use on my patients there and then to get a reading, rather than waiting. Sounds boring, but it would be very helpful in my clinic. 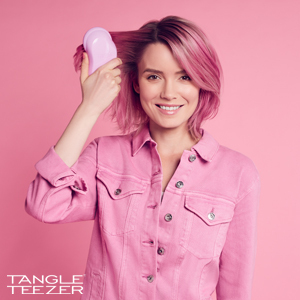 Can having a dedicated hairbrush, like Fine & Fragile from Tangle Teezer, help improve the hair’s condition? There’s no doubt that if you have fine/fragile hair and you use the wrong type of hairbrush, this can cause further breakage or cause the hair to become dull. This is because the more you scuff up the cuticle, the less the shiny the hair becomes. 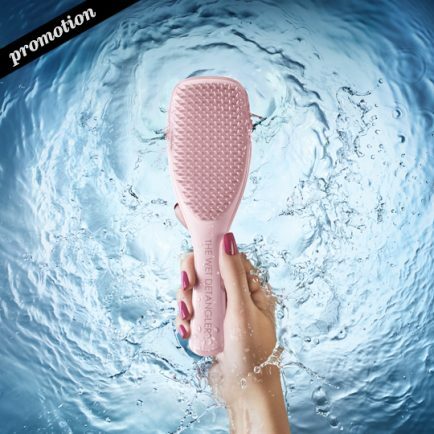 Using a hairbrush designed not to damage hair as much – like the Tangle Teezer Fine and Fragile – is one of the few things a person can actively change in their haircare regime to create a tangible benefit. Be aware though, that clients may not notice the benefit for a few months as no hairbrush can repair hair that has already been damaged. It can only prevent further damage taking place. If a client has a red, tight scalp will it be associated with impending hair loss or developing fine and fragile hair? What’s the solution? No, some people’s scalps may be naturally red or tight! You have to be careful, as if something does not look right, you may want to send them to the doctors (or registered Trichologist). They may have a skin problem, such as psoriasis, or may have symptoms of something more serious such as a scarring alopecia. Either way, there’s nothing a hairdresser can actively do about it apart from notice the problem and inform the client. 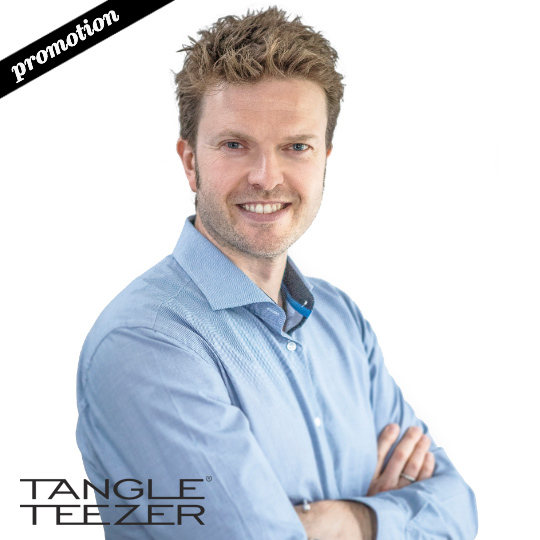 For more information about Iain’s work, head to the Tangle Teezer website.